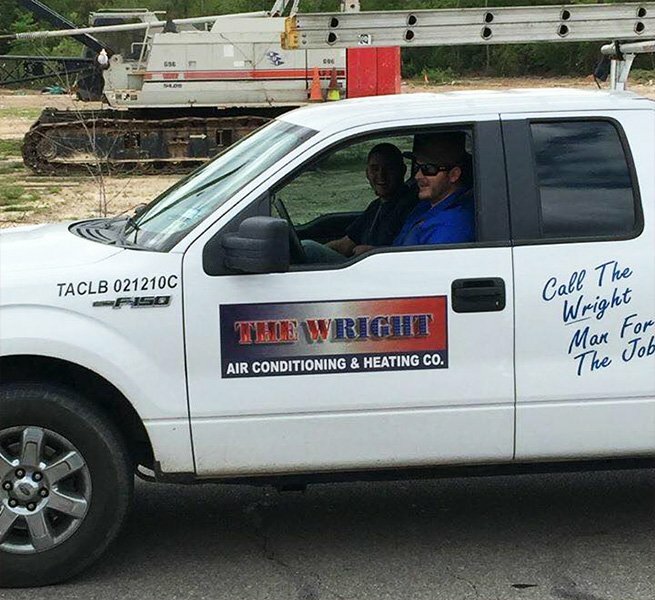 Located in Magnolia, TX, Wright AC & Heating Co. offers top-notch air conditioning and heating repair and new installation services to our customers in Montgomery and the surrounding counties. Willie and Cindy Wright started in 2001. Willie has been in the HVAC industry for the past 20 years. He was aided in his training from his father in law, Jim Kahl who taught him the importance and value of being an outstanding service technician and business owner. Since we started the company from our home in Montgomery we have expanded to our office/warehouse located in Magnolia, TX off F.M. 1488. We are truly a family owned and operated business. It is our goal to provide all of our customers the best work and complete customer satisfaction on each project that we undertake. Our company is a member of Magnolia Chamber of Commerce. Wright AC and Heating are TRANE Comfort Specialists which enables us to have the best pricing and highest levels of education for your HVAC needs. In addition, we support local youth sporting events. We are fully licensed and insured and have 100% financing available through Wells Fargo Financial. Also, we support local youth sporting events. Our commercial and residential HVAC services make you comfortable, and also reduce your energy cost. Give us a call today!